MAC and its members, comprising some of Canadaâ€™s largest mining companies, have issued principles for climate change policy design to support an efficient pan-Canadian approach to addressing this important issue. MAC and its members released its first climate change position statement in 2000. In the years that followed, the association and its member companies have worked to improve energy efficiency and reduce greenhouse gas (GHG) emissions through measures such as MACâ€™s mandatory Towards Sustainable Mining (TSM) initiative as well as individual company efforts. In 2009, MAC adopted the International Council on Mining and Metalsâ€™ climate change policy, which recognizes that comprehensive and sustained global action is required to reduce the scale of human-induced climate change and to adapt to its impact. The time is ripe for governments, industries and all Canadians to get even more creative about meeting our emissions goals. The Canadian mining industry sees itself as part of the solution. Our productsâ€”whether it be the extra copper needed in electric cars, the nickel and steelmaking coal used to make the steel in windmills, the rare earths and precious metals used in new and emerging battery technologies, or uranium in the generation of carbon-free nuclear energyâ€”are essential to living in a lower carbon world. MACâ€™s Principles for Climate Change Policy Design document is available at www.mining.ca/news-events. The finalists for the 2016 Towards Sustainable Mining (TSM) Awards for Community Engagement and Environmental Excellence have been selected and the award winners will be announced on May 2 at the CIM Awards Gala at the 2016 Convention in Vancouver. A total of 23 nominations were submitted by mining companies that participate in the TSM initiative, a performance-based program whereby mining operations evaluate, manage and publicly report on critical environmental and social responsibilities. The selection committee, comprised of members from MACâ€™s national Community of Interest (COI) Advisory Panel, selected the finalists based on criteria such as innovation, involvement of and engagement with communities, and project outcomes. TSM performance was also considered as an indicator of the companyâ€™s ongoing commitment to corporate responsibility. The TSM Excellence Awards are intended to acknowledge innovative projects and initiatives that expand and promote sustainable development within the mining sector. For more information about TSM, please visit www.mining.ca/tsm. 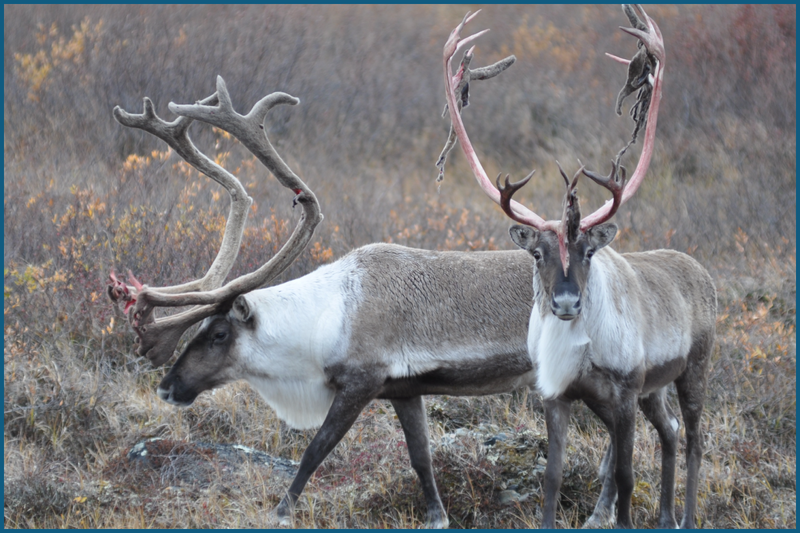 Working alongside local and Aboriginal communities, Dominion developed Caribou Mitigation Measures to help identify factors behind the herdâ€™s decline and to take proactive steps to limit potential impacts from mining activity and the companyâ€™s proposed Jay Project expansion. Community engagement was paramount to the measuresâ€™ design, and Aboriginal groups and other stakeholders continue to be integral to their implementation. Aboriginal groups are taking a lead role in monitoring the herdâ€™s activities and sharing critical information with the company and Aboriginal and territorial governments to support the management and protection of the herd. Traditional knowledge has been sought out for all measures, which have translated to changes on the ground. For example, Aboriginal groups advised on the design and placement of the future Jay pipe access road to make it more caribou-friendly and so that it crosses at the narrowest point of the Eskerâ€”known as a â€œcaribou highwayâ€â€”to minimize impacts. Traditional knowledge has also contributed to Dominionâ€™s reclamation efforts, with Aboriginal groups advising on the locations of wildlife access ramps in the waste rock areas being reclaimed. Despite the fact that Dominionâ€™s research has shown that the Jay Project is expected to contribute little to the cumulative effects on caribou, the company is committed to eliminating any small residual impacts from the Ekati mine on the herd. The company is also lending its support to the territorial government, investing more than $1 million on Zone of Influence research. The funds will go towards geo-fenced collars, which will generate the data necessary to help the government determine the causes of the herdâ€™s decline in the region and develop strategies and plans to improve the health of the caribou population. Photo: Dominion Diamond Corporation and local Aboriginal communities developed caribou mitigation measures, which are used at the Ekati Diamond Mine in the NWT. Glencoreâ€™s Kidd Operations, including the Kidd Concentrator and the Kidd Mine, is Timminsâ€™ largest private-sector employer. Kidd Operations is a major corporate funder in Timmins, and has donated nearly $4 million towards community initiatives since 2007. With an anticipated closure date of 2022, it has re-invented its corporate giving approach to mitigate impacts of its eventual exit and to ensure that it is contributing to long-term capacity building and sustainability in the community. Based on stakeholder feedback and identified local priorities, Kidd developed an innovative social investment program called â€œCommunity Partnershipsâ€, transforming how the site invests in the community. The new model has Kidd taking a proactive approach to social investment by brokering strategic projects to community partners, moving away from traditional corporate philanthropy. This has enabled Kidd to engage meaningfully with stakeholders to design collaborative, multi-partner projects that contribute to the long-term sustainability of the community at large. An example of this was the offering of Timminsâ€™ first sustainability conference for the local non-profit sector in 2013. What is also innovative about that model is that it measures social return on investment for the major projects supported allowing Kidd to evaluate the reach of its social investments based on financial and social impact data. For example, Kidd was able to determine its $320,000 investment in a recent expansion project at a local retirement home showed a return of $1.58 for each dollar that Kidd invested into the project. The success of the Community Partnerships program and its ability to measure social return on investment attracted the attention of Canadaâ€™s largest public-sector grantmaker, the Ontario Trillium Foundation (OTF). 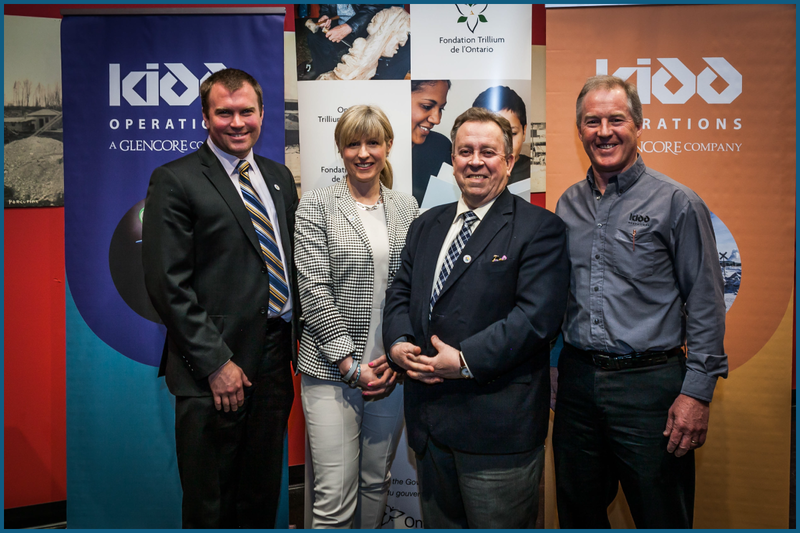 In 2015, Kidd and the OTF launched the $1 Million Kidd Operationsâ€“Ontario Trillium Foundation Legacy Fund. This partnership will see Kidd Operations and the OTF each investing $500,000 into the Fund, which will begin making grants when Kidd ceases operations. This collaboration, a first for the government agency, paves the way for future private-public sector partnerships. Photo: (Left to Right) Steve Black, Mayor of the City of Timmins; Andrea Cohen Barrack, CEO of the Ontario Trillium Foundation; the Hon. Michael Gravelle, Minister of Northern Development and Mines; and Tom Semadeni, former General Manager of Kidd Operations. Photo taken at the official announcement of the Legacy Fund. In 2012, IOC took one step further by creating the Regional Task Force (RTF) to complement the CAPâ€™s efforts. Where the CAP addresses issues at the local level, the RTF is comprised of industry representatives and senior government officials who address and escalate issues at the provincial or federal levels. Both the CAP and RTF meet four times each year, and their priorities are re-validated annually to ensure they are addressing the most critical community needs at any given period. These groups have generated positive results for the region, including advocating for affordable housing, addressing issues with homelessness, working to ensure the region has appropriate health, emergency and child care services, supporting the development of community infrastructure, and partnering with colleges to improve education and training opportunities. Although the CAP and RTF were established during times of rapid expansion and growth in the community, IOC believes that multi-stakeholder consultation is equally important in periods of a downturn. Thatâ€™s why IOC remains committed to these forums and has even expanded its stakeholder engagement over the past year. In 2015, IOC introduced Project RESET, working with suppliers and stakeholders to cut $70 million in business costs to help the company adjust to significant declines in iron ore prices and to enable it to remain a major employer in the region. IOC also increased its engagement with Aboriginal communities, reaching formal agreements with the Innu Nation and the NunatuKavut Community Council to facilitate such benefits as employment, skills training and business development opportunities now and well into the future. 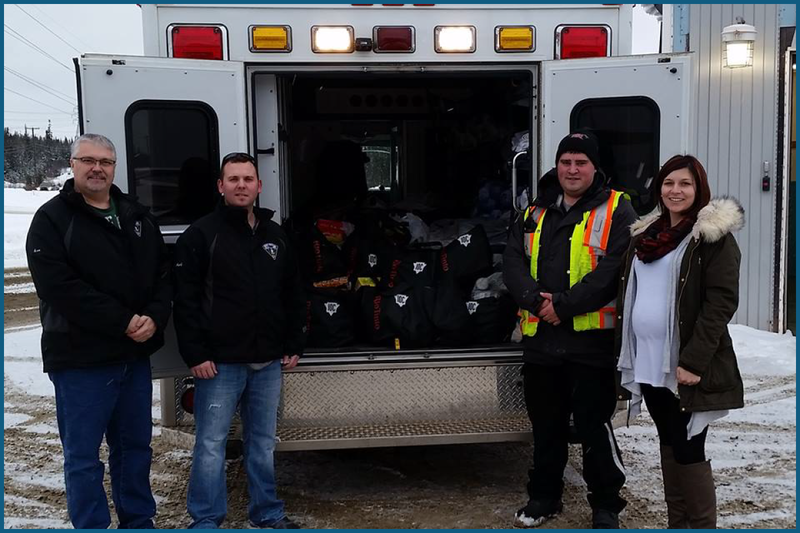 Photo: IOC Emergency Services & Security Team packs the back of an IOC ambulance for a community food drive. The Trail Area Health and Environment Committee (THEC) is a community-led partnership between Teck Trail Operations, the City of Trail, the BC Ministry of Environment, the Interior Health Authority and local residents. The THECâ€™s core work is to prevent and reduce exposure to lead and other smelter metals in the community, with a particular focus on child health. As young children are most vulnerable to the risks of lead exposure, the THEC works to educate all families of young children to prevent exposure risk in their home and surrounding environment. The THEC offers a suite a programs that are focused on risk prevention, education and outreach. This includes in-home visits for families with young children, blood lead testing, garden and yard soil testing, and additional support for families where children have levels above the typical range. Furthermore, a Community Program Office is operated in downtown Trail to allow residents to drop in and learn more about family health, home and garden remediation, air quality and other preventative measures. Since 1989, the THEC has achieved many significant outcomesâ€”air quality and blood lead levels have improved considerably, and smelter stack emissions of lead and other metals have been reduced by 99 percent. The THECâ€™s success is attributed to the community playing a leading role in establishing priorities, objectives and targets related to emissions, the environment and health. The structure of the THEC puts the community in the driverâ€™s seatâ€”the Chair is the Mayor of Trail, and 11 out of 16 seats are held by community representatives. The THEC has garnered a reputation as being a leader in collaboration between community, government and industry. Companies and governments across Canada and internationally have asked the THEC to share its experiences at conferences and meetings. It has also been recognized as best practice within the public sector. In 2011, the BC Government awarded the Interior Health Authority and Ministry of Environment with a Premierâ€™s Innovation and Excellence Award for Partnership. 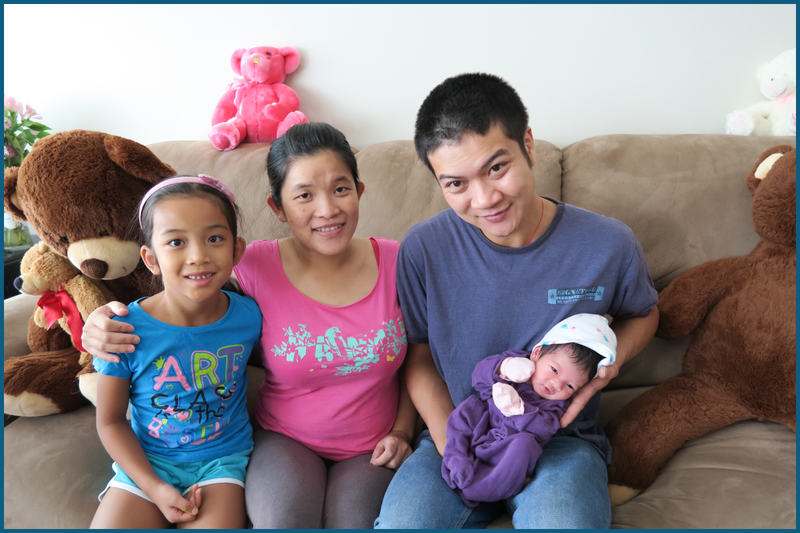 Photo: The Zhou family receiving the Healthy Families/Healthy Homes program in Trail, BC. Agnico Eagleâ€™s Pinos Altos mine is located in the Sierra Madre Occidental mountain range of Chihuahua about 300 kilometres northwest of the City of Chihuahua. The region surrounding the mine is characterized by a very steep topography with limited road access and a very sparse population. These factors were responsible, in part, for the fact that no thorough inventory of native flora had been performed and documented for the region. As the Pinos Altos staff worked to apply the TSM Biodiversity Conservation protocol, which required the identification of biodiversity in and around the mine site, staff saw an opportunity to expand the scope of its research and contribute more broadly. In 2013, Agnico Eagle joined forces with the Autonomous University of Chihuahua to perform a thorough forensic inventory. The intention was to develop a book that inventories native flora of the region, which could be used by the university and other educational institutions in natural resources courses, as well as mine staff in their conservation efforts and project planning. 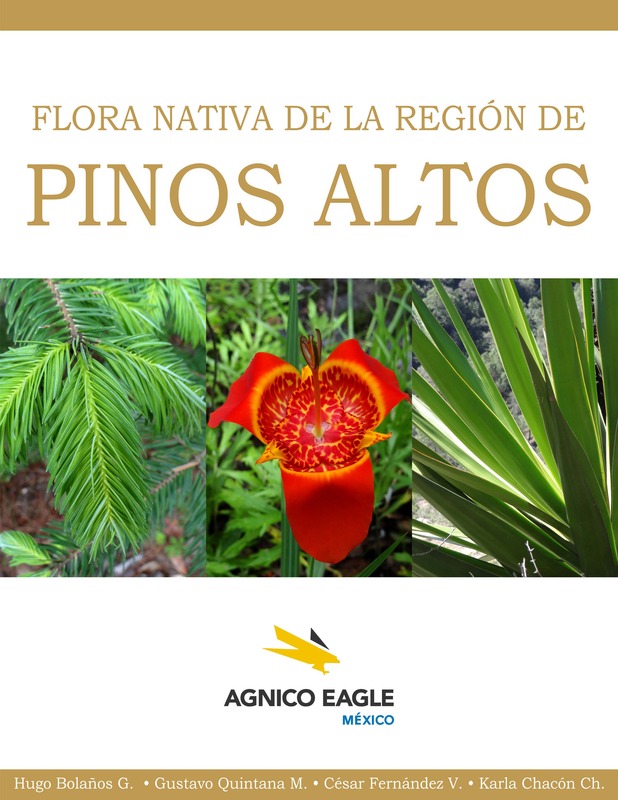 The resulting book, Pinos Altos, scientific and visual study of flora, was published in 2015 and contains detailed descriptions of 141 plant species divided in three categories: trees, shrubs and herbaceous species. The inventory also contains traditional use of the species and knowledge from the community. The book has already made a significant contribution to scientific knowledge about the diversity of plant species in the region. In fact, as a result of the research, species of economic interest such as blackberry, wild blueberry and stevia were discovered, which could help diversify the economic activities in the region beyond the dominant forestry industry. The book provides invaluable data for staff at the Pinos Altos mine, and is being used to inform decisions for conservation and restoration programs and regional flora management. The information has also enabled Agnico Eagle to act in advance of impacts by establishing and implementing conservation measures. When Dominion Diamond Corporation purchased the Ekati Diamond Mine in the Northwest Territories in 2013, the company saw an immediate opportunity to improve the mineâ€™s sustainability practices in the area of waste management. Dominion began by purchasing environmentally-friendly products for the mine. This involved changing to corn-oil based garbage bags, sugarcane take-out containers, wooden stir-sticks, and compostable disposable utensils to reduce the amount of chlorine-rich plastics in the waste incinerator. The company then restricted incineration input to paper and organic waste. Items such as oily rags, glass, plastics, cans, and other recyclables are removed from the mine site by supply plane or winter road, depending on the season. To support staff in the transition to the new processes, Dominion conducted an awareness campaign for all staff on waste management and segregation. By introducing biodegradable products to Ekati and restricting incineration to paper and organic waste, Dominion has prevented nearly 59,000 kilograms of plastics and more than 145,000 kilograms of oily rags from being incinerated since the start of the waste management project, reducing harmful emissions into the environment. Recent testing on Ekatiâ€™s two incinerators has confirmed that releases of dioxins and furans are now well below the Canada Wide Standard. 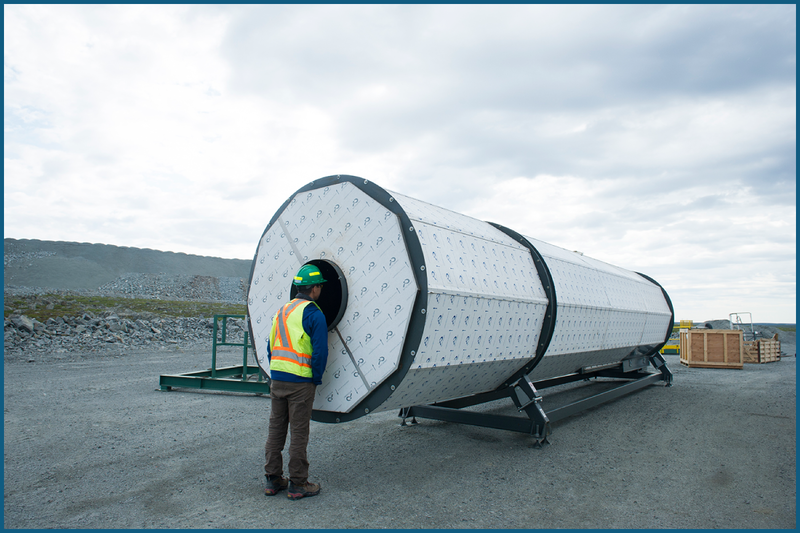 Further improvements were made in 2015 when Dominion installed an in-vessel composterâ€”the first mine in Canadaâ€™s North to do so. Now, roughly half of organic waste, such as food waste and paper products, generated at Ekati is composted. After only three months of the composterâ€™s operation, the company has saved more than 25,000 litres of diesel and reduced greenhouse gas emissions by 80 tonnes CO2e by moving away from incineration of organic waste. Dominionâ€™s goal is to compost all organic waste at Ekati in the near future. The company is also conducting a study in 2016 to evaluate the use of the site-generated compost in reclamation work to add nutrients to the tailings and promote vegetation growth. The composter project has generated positive feedback from local Aboriginal communities, government and community groups. It has also sparked interest among other northern mining operations that are looking for innovative ways to reduce emissions and protect the environment. Photo: Composter pre-installation at Dominion Diamond Corporationâ€™s Ekati Diamond Mine in the NWT. 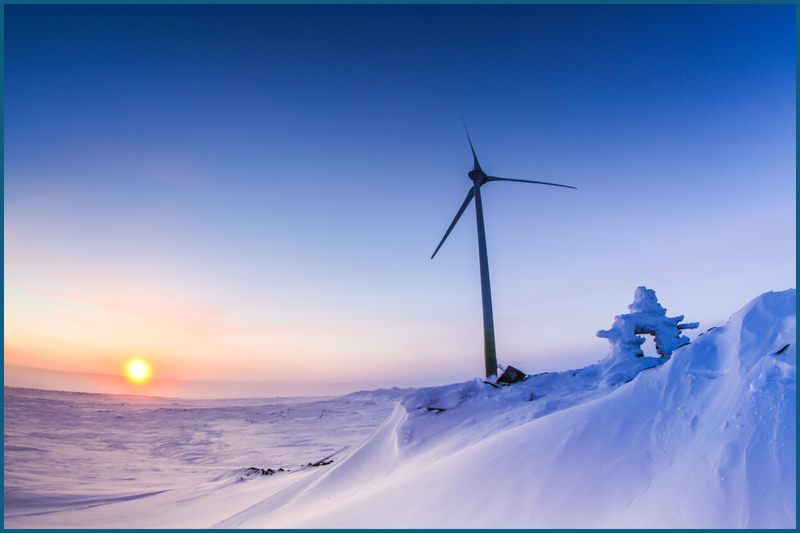 Sitting on a plateau 600 metres high on the Ungava Peninsula in northern Quebec, Glencoreâ€™s Raglan Mine is well situated to take advantage of the power of wind. In 2014, the company did exactly that when it completed its construction of a 120-metre high wind turbine and storage facility, the largest in Quebec. Like most other northern mines, the off-grid Raglan Mine was heavily dependent on diesel to fuel its operations. With climate change considerations, commitments to limit environmental impacts and rising diesel costs, there was a strong business case for Glencore to explore renewable energy solutions. With the mine situated in the Canadian Arctic, which harbours some of the worldâ€™s richest wind resource, Glencore set out to diversify its energy mix with wind as a means of improving sustainability, reducing emissions and cutting costs. The project was unprecedented in scale, and was specially designed for severe Arctic climate conditions. The project was a private-public partnership between Raglan Mine, TUGLIQ Energy and the federal and provincial governments. Communities were consulted throughout the project and feedback was acted upon by the company. For example, concerns raised by the Inuit about the potential of blade reflection affecting local fish patterns resulted in Glencoreâ€™s decision to move the turbine to another location. Photo: Renewable electricity smart-grid pilot demonstration at Glencoreâ€™s Raglan Mine in northern Quebec. One such example is a partnership between the town of Gorum-Gorum and IAMGOLD that resulted in the creation of a communal forest. In 2013, 10,000 seedlings were planted in the 16-hectare forest area. A fence funded by the mine provides needed protection against wildlife that graze in the area, and farmers can obtain feed for their animals during times when grass is lacking. Village nurseries were created and are run by residents, with the aid of employees from the mine. Community members have been trained in forestry techniques and are able to produce plants for various purposes, including for food, pharmaceutical and economic purposes. The following year, IAMGOLD and the town undertook another project â€“ a school grove consisting of trees and other plants was established at a local school. The grove has not only taught students techniques in planting, but has also empowered them to take an active role in caring for the environment. Additionally, the produce harvested from the grove is used in the schoolâ€™s canteen for meals for the students and teachers. The projectsâ€™ success is owed to the community for being a driving force behind their design, development and ongoing maintenance. Beyond the socio-economic benefits that the community has generated through these projects, there has also been transformative improvements to the local environment. For example, the communal forest has added needed plant cover for the once degraded area, which will help increase plant diversity and will contribute to carbon sequestration in the region. 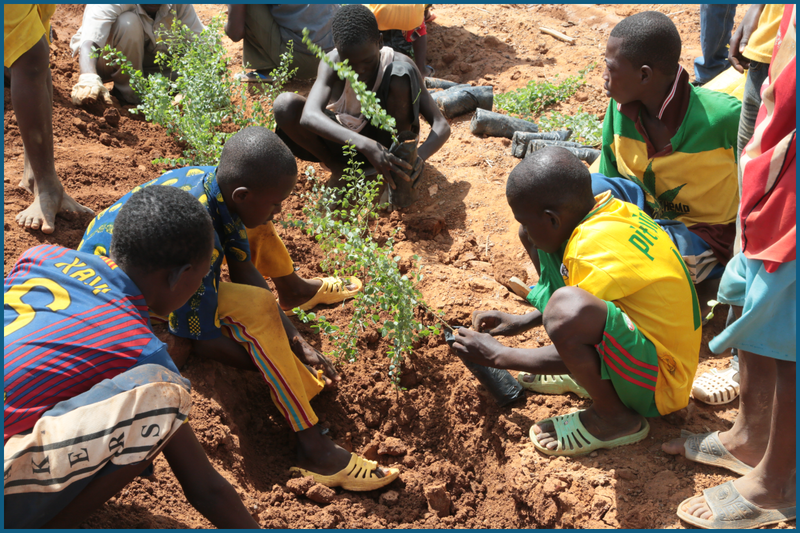 Photo: Planting of a grove at a local school near IAMGOLDâ€™s Essakane Gold Mine in Burkina Faso. For more information about the scholarship and eligibility, please visit www.mining.ca/scholarship. On March 22nd, MAC welcomed the new Liberal governmentâ€™s investments in key priorities that facilitate the responsible growth of mining in Canada. These investments will help enable the continued sustainable development of Canadaâ€™s mining sector. Funding to support CEAAâ€™s capacity to undertake meaningful consultations with Indigenous groups. New, long overdue investment in Natural Resources Canadaâ€™s science laboratories that promises to support new partnerships in clean tech and innovation with the mining sector. Renewal of the Mineral Exploration Tax Credit at a critical time for Canadaâ€™s junior exploration sector. Resolving a tax irritant of double taxation of GHG emission allowances. The Liberal governmentâ€™s first budget also makes historic investments towards reconciliation with Indigenous peoples, including significant investments in education, skills training and in social and economic infrastructure. These investments are important building blocks for accelerating the participation of Indigenous Canadians in the mining industry. MAC welcomes the governmentâ€™s proposed $1 billion commitment over four years, starting in 2017-18, to support clean technology and innovation in the natural resources sectors, as well as the $800 million to support innovation networks and clusters. MAC and its partner, the Canada Mining Innovation Council, looks forward to working with the government to implement its Innovation Agenda in the mining sector. As expected, Budget 2016 also allocates significant funding to support infrastructure investments. The mining sector is hopeful that future infrastructure planning will include a focus on improving Canadaâ€™s trade corridors and investing in northern infrastructure to encourage new mineral development and improve the economic opportunities for northern communities. Each year, Natural Resources Canada (NRCan) marks National Mining Week, which celebrates the important role that the mining industry plays in the lives of Canadians. This includes miningâ€™s role in our economy, the jobs that directly and indirectly support the sector and, of course, the products we depend on in our daily lives in which minerals and metals are the building blocks. Mining contributes more than $57 billion to Canadaâ€™s GDP and accounts for close to 20% of total goods exports. Approximately 375,000 people across Canada work in the mining and mineral processing industries. At approximately 10,000 employed, mining is the largest private sector employer of Aboriginal peoples in Canada on a proportional basis. Canada has one of the largest mining supply sectors globally with more than 3,700 companies supplying engineering, geotechnical, environmental, financial and other services to mining operations. Those who work in mining enjoy the highest wages and salaries of all industrial sectors in Canada with an average pay exceeding $100,000, which surpassed the average earnings of workers in forestry, manufacturing, finance and construction. Canada ranks in the top five countries in the global production of 14 major minerals and metals. Globally, Canada is recognized for its leadership in safety and sustainability. Mining companies were the first in the world to develop an externally-verified performance system for sustainable mining practices with the creation of the TSM initiative. To learn more about the Canadian mining industry and its contributions to Canada and abroad, read our Facts & Figures 2015 Report at www.mining.ca/resources.